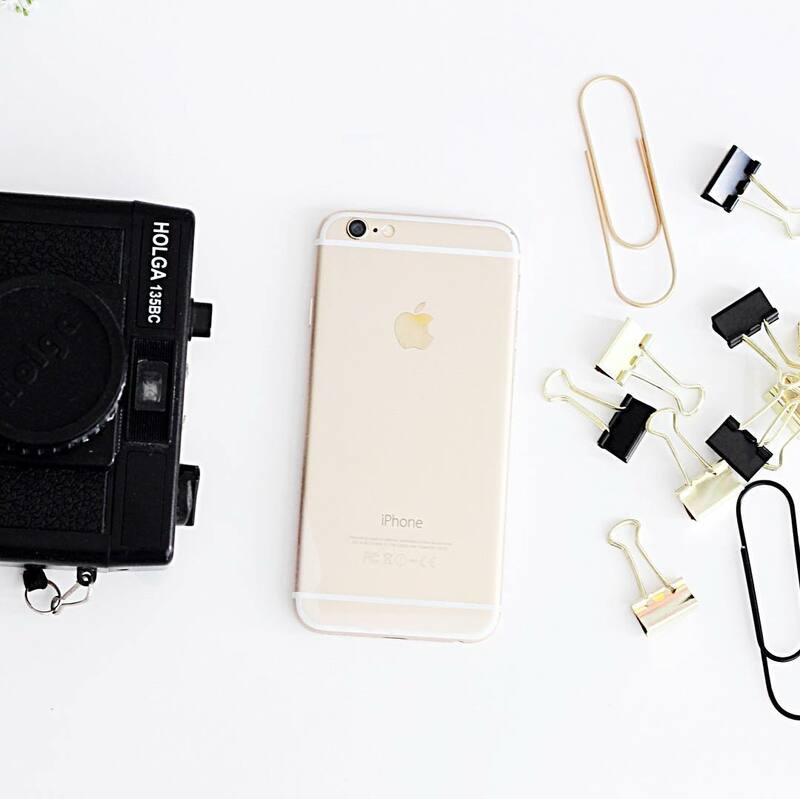 Behind the Feed with Buzzing Creatives: How to Create an Amazing Instagram Account that Sells? Hello everyone! 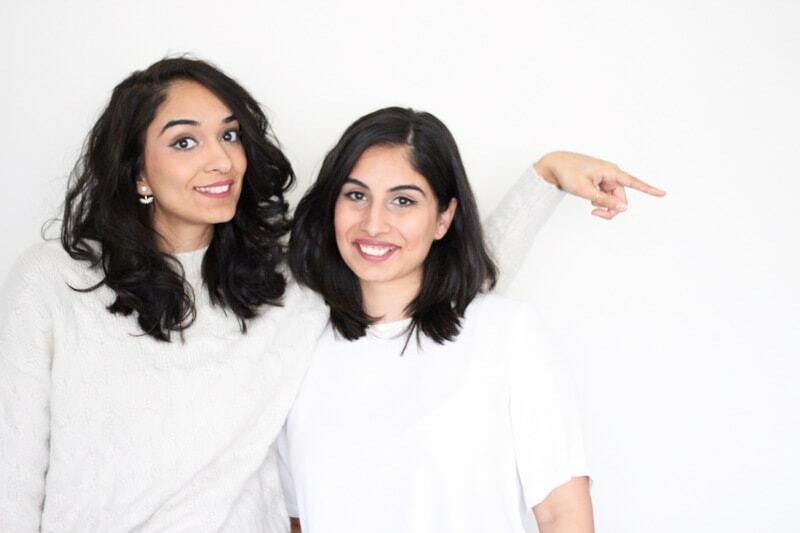 I’m very excited to introduce you to Tript and Prabh. 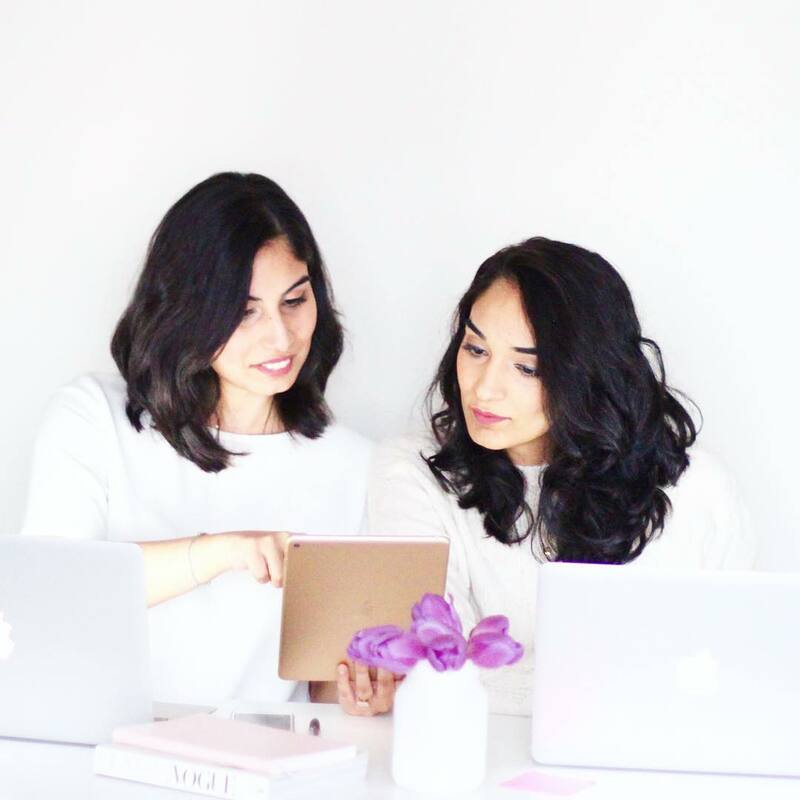 They are the creative entrepreneurs behind Buzzing Creatives – an online platform and community full of resources, tools, tips and tricks to help you grow your online business. 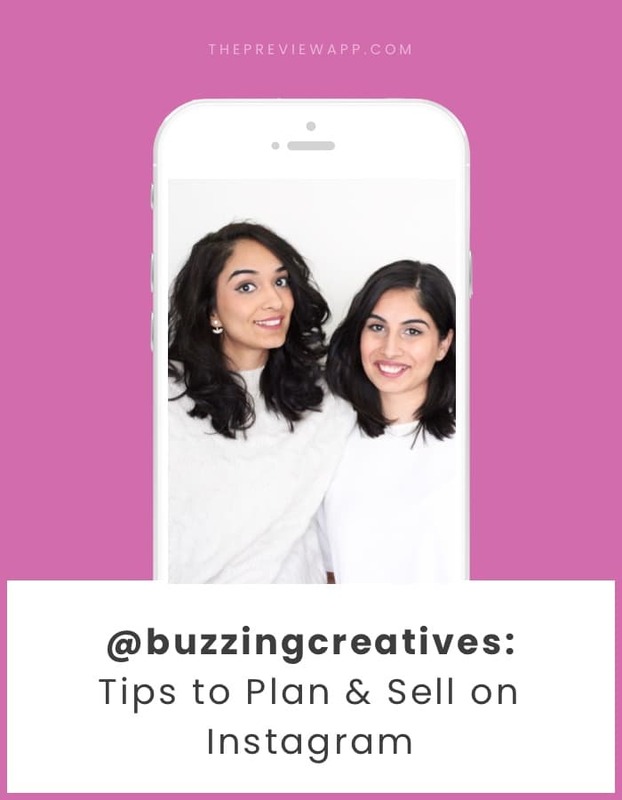 I had to invite them here so they can share all their tips with you: from how they manage their Instagram account with Preview App to how they sell using Instagram. As usual, this is going to be a long (but very worthwhile) article. I want to make sure you are truly getting a taste of Tript and Prabh’s “behind the feed”. So get comfortable and let’s start. If you are new: Welcome! Behind the Feed is an interview series featuring amazing Preview app users. 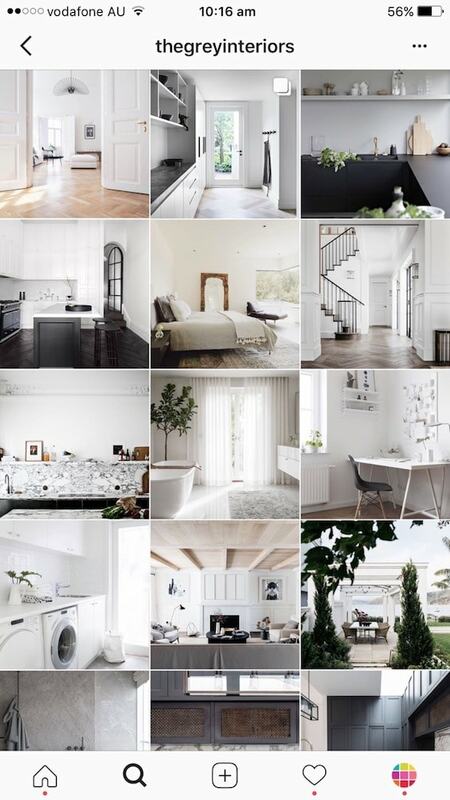 We are a community of over 300,000 Instagram lovers. We’re here to share our story and tips. Enjoy! Hello girls! Can you please introduce yourselves and tell everyone what you do? Hello! 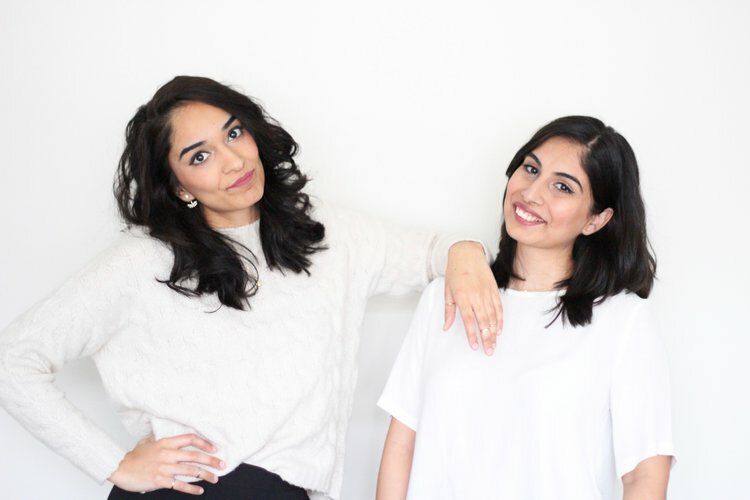 We are Tript & Prabh of Buzzing Creatives – and yes we are sisters! We are from the beautiful city of Vancouver, British Columbia, Canada We teach creative entrepreneurs how to grow their business online by leveraging their social media presence! We do this through our courses and our services. We are passionate about helping creative entrepreneurs turn their creativity into profitability without compromising their artistic integrity. Other than that? Tript has a Master’s Degree in Gender and International Development and Prabh is currently doing her PhD in Art History with a focus on Classical Archeology. We both are creatives at heart! And love to see small business owners succeed by implementing the strategies we teach. If you could use one word to describe your feed, what would it be? One word? That is difficult! Buzzing creatives has been on Instagram for 1.5 years! How are you using Instagram for your business? We use it as a way to reach our global audience, to educate them on the topic of social media for their business and to connect with them. We have cultivated so many relationships on Instagram! Instagram is a key to growing our brand online and our community! 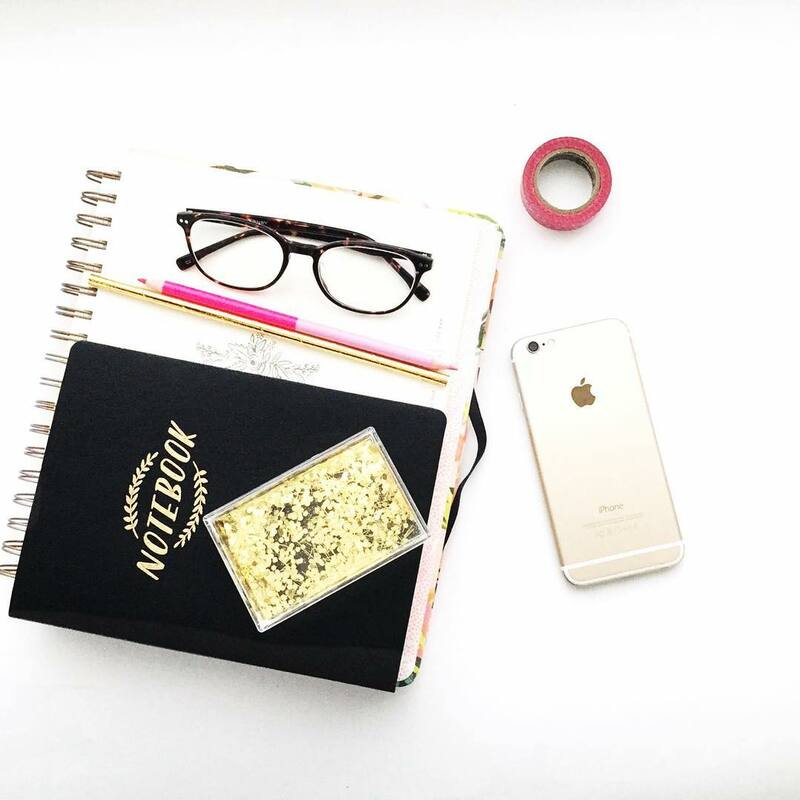 Can you describe how you plan your Instagram feed from A to Z? 1. We batch take our photos – where we spend a good couple hours on a set day to take our photos. 2. We have a set content calendar which we change up according to particular topic we are focusing on for that month or a course we have opened enrolment for. 3. Upload all the images onto our laptops. We both have Google Photos installed on our devices so all the photos get backed up there automatically. 4. Transfer the photos to our apps. From the Google Photos app on our phones we will then use the apps on our phones to edit and schedule our Instagram feed. 5. We use apps such as Aviary and A Color Story to edit our images, and have recently dabbled with some fun filters on the Preview App as well – our favourite being D5. 6. We then upload our images onto Preview App where we then schedule our posts. 7. 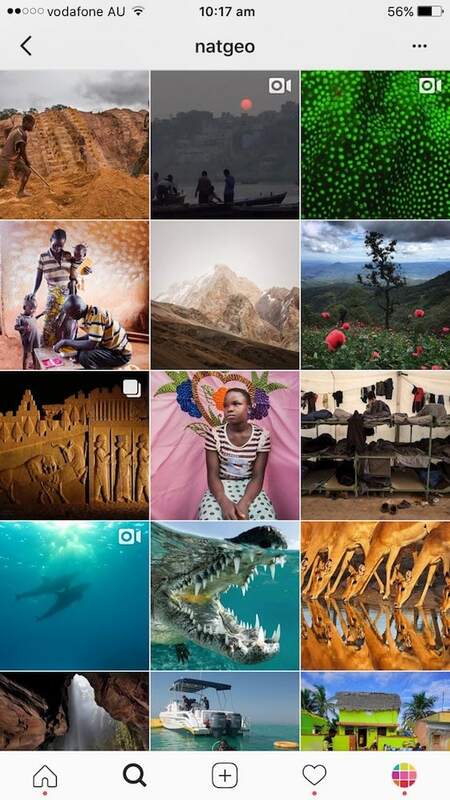 We upload at least 10 images at a time, and rearrange them on Preview App by dragging them around to see what aesthetically fits well with our overall grid. 8. Then we type our captions and use the hashtag planner on Preview App to plan out our hashtags. We would like to say 2 weeks in advance, but that has not been the case as of lately. But we do make sure we have planned it out – scheduled it in at least a week in advance. There’s a lot on our plate when we’re entrepreneurs. I love how you’re all about being successful without compromising our creativity along the way. But how do you do that? Can you share your top 3 tips with fellow creative entrepreneurs? Yes! That is at the very core of buzzing creatives along with community. We really put emphasis on not compromising your creativity along the way. But that doesn’t mean you can’t evolve and grow! 1. Let your creativity flow. When you finally let go of what everyone else is doing and let your creativity flow everything will start falling into place. You will start connecting with the right people. Your creativity is unique to you, and that is what is going attract the right people to you, people who appreciate your creativity! 2. Take a step back and reevaluate. If something makes you feel icky business and creativity wise, it is always good to take a step back and reevaluate! The key here is to place importance on your creativity first and foremost and with the right amount of patience, trial and error and the right strategies you will also see successful business. Oh and listen to your gut! 3. Evolve and be open minded. It’s always important to be open to evolving and to be open minded. When we say without compromising your creativity – that doesn’t mean we don’t encourage you to try different mediums and activities. Your creativity is within you, and it’s just a matter of trying out different methods and mediums to express that creativity – so be open to evolving, growing and trying new things! Then hold this as a strong value to you and your brand and it will show to people when you are selling to them and doing business. One of the biggest questions business owners ask is: “Is it hard to convert using Instagram?” What are your top 3 tips to convert Instagram followers into customers? 1. Sell your Brand Lifestyle to create the desire for your product or services: Instagram is a great platform to grow your brand and sell the lifestyle your brand represents. Lots of times we see people not taking the time to really understand their brand and how to transfer it over on a visual platform such as Instagram. Your brand aesthetic on your Instagram should present a story or a lifestyle that your target market desires through your content as this is what will build that emotional relationship between you and your customers. On Instagram, if you post the right images, consumers will devour your marketing message without a hard sales pitch from you ! So it’s always a great idea to keep a good balance of posts where you are selling the lifestyle of your brand with posts where you are selling your services and products! 2. Call To Action: This is something that you can do right away and something that is usually missing from Instagram accounts! You have a link to your shop, website, or blog but you need to also have a call to action! You need to tell the people that are visiting your profile to “click here” or “shop here” or “read more here” and this needs to preface the link. It’s been shown over and over again in studies that this results in higher conversion rates, which means more more people will click the link if you have something there telling them to click it! 3. Humanize your brand and exclusivity: You need to use a platform such as Instagram to humanize your brand! Show us some behind the scenes, introduce yourself to your followers, show us your workspace, show us the packaging and let your followers in! Not only that, you need to make your followers feel special – offer some sneak peeks, use your Instagram stories to connect with your followers and offer them discounts that are exclusive to your Instagram followers! What if we don’t have many followers yet? Is Instagram still worth our time? Yes! Quote us on this: “It doesn’t take a large following to make sales, it takes a loyal following”. As long as you connect with your followers, have a good understanding of your target market and therefore you are attracting the right followers that is all that matters! It is always better to have a small following of loyal followers who are genuinely interested in your brand, willing to stick around and eventually read your blog or buy from you than to have a big following of random people who might not even end up being that into your content! I know you offer Instagram courses. Can you tell us about them? What can people expect? And how are they different from all the other Instagram courses out there? Instagram 101: Instagram Marketing for Beginners is different than other courses because we take you right from the beginning and all the way to a total Instagram Strategist! We do this by really focusing on the 3 foundations we teach in the course that require you to really dig deep and go beyond the superficial level of Instagram followers, hashtags, and pretty pictures (yes those are important BUT you need to work on the foundations before you can see real changes on your Instagram). Enrol in Instagram Marketing and you will get acquire actionable tips that you can start applying right away to start seeing great results! Let’s set you onto the path of Instagram Success! 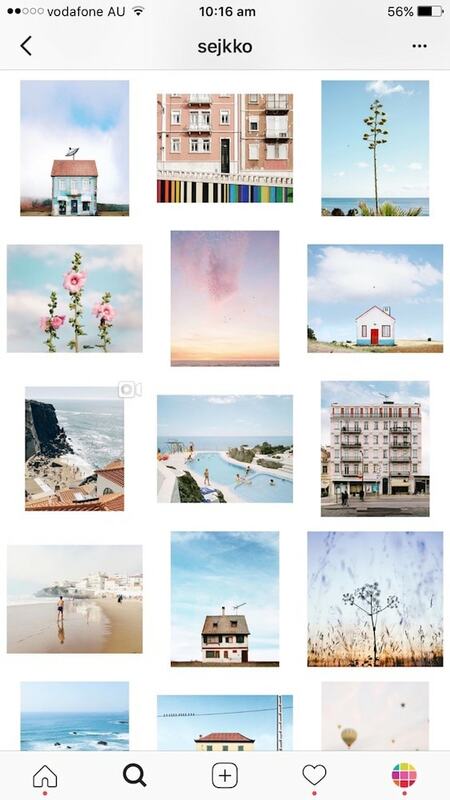 3 Instagram accounts that inspire you? 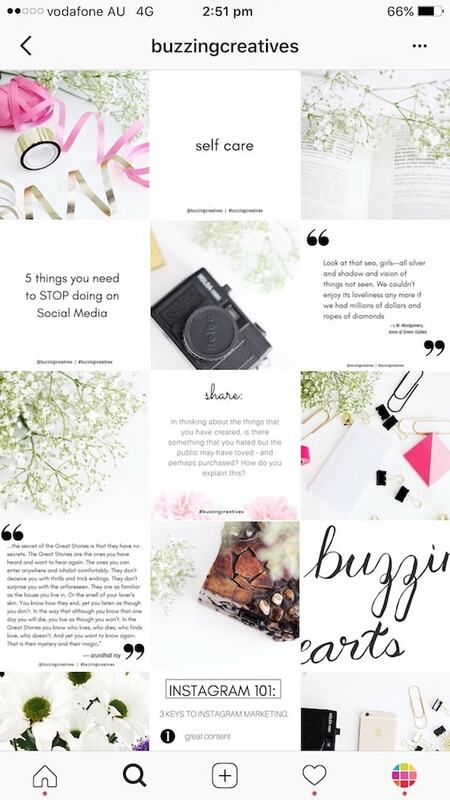 In all our Instagram content, whether that is blog posts, Instagram lives, working with clients and in our Instagram courses – preview app is one of the apps we always recommend, and let me tell you, the buzzing creatives community loves it! It is such a great app because it has everything you need in order for you to have a successful Instagram strategy. It has editing, the hashtags, scheduling, analytics and more! All there in one app! So we always tell our students to start with something like this app where they can do everything in one place! We love love love the hashtag feature, the grouping of hashtags and having categories affiliated with them makes it convenient to be strategic about your hashtags. Thank you Tript and Prabh for taking us behind your feed and sharing all your tips with everyone!